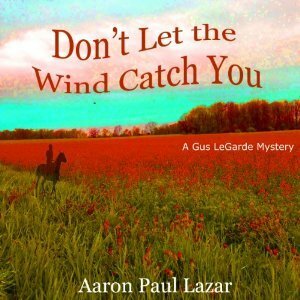 Gus LeGarde is twelve years old, it's 1965, and it's high summer. What could be better? He and his friends, the twins Elsbeth and Siegfried, ride their horses and boat on the lake and generally to all the unsupervised wandering around that kids did in the 1960s. In the course of that wandering, they discover a local hermit, Zachariah Tully, living alone in an old cottage with no electrical power. Except he seems not to be alone; he talks to someone he calls Penni. He's a grumpy man, and threatens to shoot them if they don't get away from his home immediately when he discovers them lurking outside. Attempts to learn more about Tully run aground when Gus discovers his mother reacts very badly to any mention of him. It seems there was some connection between Grandfather Wright and Mr. Tully, and Gloria LeGarde can't forgive Tully for whatever it was. The summer gets more interesting when a famous woman journalist who spent fifteen years being held prisoner in Pakistan returns home to the area with her husband after finally escaping. After just three days of being reunited, her husband dies--in their car, parked in the LeGardes' driveway. As startling an event as this is in itself, it triggers more revelations and discoveries about Tully and Grandfather Wright. Gus, Elsbeth, and Siegfried meet ghosts, solve long-buried local mysteries, unearth family secrets, and make their first discoveries of young love, in the midst of living what used to be an utterly normal childhood, which must seem unbelievable to kids today--or even to their parents, who grew up after the era of roaming free ended. That's a real loss; we learned so much in our unsupervised wandering and play. This is a wonderful read. Recommended! I received a free copy of this audiobook from the author.